Generally there are two types of lead-acid storage batteries, based on their method of construction. These batteries are either called flooded (or vented) or sealed. Flooded and sealed batteries also differ in their operation. All lead-acid batteries produce hydrogen and oxygen gas (gassing) at the electrodes during charging through a process called electrolysis. These gases are allowed to escape a flooded cell, however the sealed cell is constructed so that the gases are contained and recombined. It should be noted that hydrogen gas is explosive in air at only 4% by volume. Flooded and sealed lead-acid batteries are discussed in the following paragraphs. Flooded cells are those where the electrodes/plates are immersed in electrolyte. Since gases created during charging are vented to the atmosphere, distilled water must be added occasionally to bring the electrolyte back to its required level. The most familiar example of a flooded lead-acid cell is the 12-V automobile battery. These types of batteries confine the electrolyte, but have a vent or valve to allow gases to escape if internal pressure exceeds a certain threshold. During charging, a lead-acid battery generates oxygen gas at the positive electrode. Sealed lead-acid batteries are designed so that the oxygen generated during charging is captured and recombined in the battery. This is called an oxygen recombination cycle and works well as long as the charge rate is not too high. Too high of a rate of charge may result in case rupture, thermal runaway, or internal mechanical damage. The valve-regulated battery is the most common type of sealed battery. It was developed for stationary and telecommunication battery applications. These types of sealed batteries have a spring-controlled valve that vents gases at a predetermined pressure. Typical pressure thresholds are from 2 to 5 psig, depending on the battery design. Although the term “valve regulated” is often used synonymously to describe sealed lead-acid batteries, not all sealed batteries are valve-regulated. Some battery designs employ replaceable vent plugs or other mechanisms to relieve excess pressure. Sealed batteries were developed to reduce the maintenance required for batteries in active service. Since electrolyte levels are preserved by trapping and recombining off-gasses, there should not be any need to add distilled water over the life of the battery. These batteries are often misnamed “maintenance free.” In fact, all maintenance practices applicable to unsealed type batteries are applicable to sealed type batteries. The only exception is that electrolyte levels cannot, and should not need to be, maintained. With their tried-and-tested technology and relatively low purchase price, lead-acid batteries should, for all intents and purposes, be playing a key role in the up-and-coming market for photovoltaic storage systems. However, the majority of suppliers are putting their trust in the less thoroughly tested yet higher-performance lithium-ion batteries instead. Will lead-acid storage systems become obsolete in the long term? What could make more sense than drawing on proven lead-acid batteries or the more modern lead-acid gel batteries? They are less expensive than the new lithium-ion batteries and boast a decisive advantage in terms of conforming to safety standards, having been used for many years to supply power without interruption in buildings such as hospitals. Unlike lithium-ion batteries, they are backed by well-founded empirical data. Figures on the lifespan of lithium-based technologies, their potential cycle lives and residual capacities after a particular amount of time are based on relatively short aging tests under extreme conditions, the results of which are then extrapolated to 20 years. “There is currently no alternative to lead-acid batteries,” states André Haubrock, the manager responsible for business development at the battery manufacturing company Hoppecke, which is headquartered in Brilon, Germany. Lead-acid batteries have the advantage of a mature recycling value chain which encourages scrappers to collect old batteries where all components can be recycled and reused. In addition home owners are fairly comfortable with the hazards and toxicity of the ubiquitous lead-acid automotive battery. Lithium? Not so much, even Boeing did not have that technology completely figured out. Commitment to end user energy efficiency, distributed Solar PV and storage battery technologies should develop together and converge on optimized total system performance. Lithium battery technology is not a silver bullet for stationary storage systems. The industry is currently also developing more robust and higher-performance electrode materials. Today’s lithium-ion batteries use graphite for the anode and lithium metal for the cathode, which serves as a chemical reactant for the graphite. Manufacturers want to use new anodes made from lithium titanate in the future, which charge faster and can withstand more charge cycles than graphite. According to Maiser, technical progress and economies of scale arising from larger quantities being produced may result in the overall costs of lithium-ion batteries falling from the current amount of roughly €800 per kilowatt hour (kWh) to €250 per kWh over the years to come, leading to the technology reaching a price level equal to that of lead-acid batteries. In contrast, the latter’s development potential has almost been exhausted. Does the classic battery stand a chance against lithium-ion technology in the future? Despite new types of batteries being developed, the market for lead-acid batteries is expected to exhibit strong growth in the next five years, according to a new market research report by market consulting solutions firm Netscribes. The new report, ‘Lead-Acid Battery Market in India,” states that the battery market in India is experiencing rising demand from various sectors, thereby providing immense opportunities to manufacturers to grow and operate in the market lucratively. 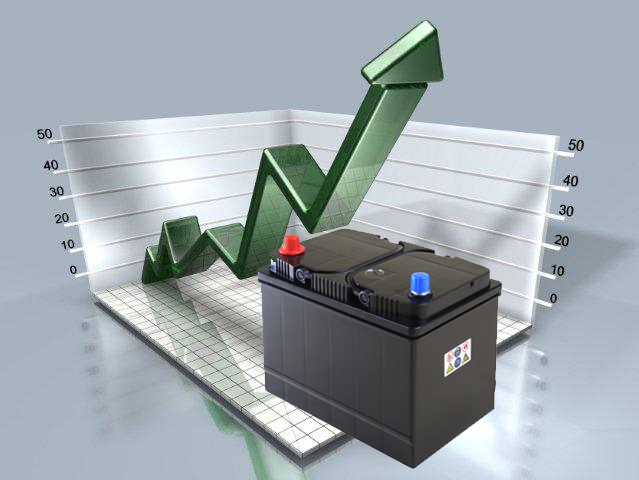 Steadily growing automobile sector and rising need for power backup is primarily aiding growth in the lead-acid battery market. The replacement market for batteries has also been growing considerably and is mostly served by smaller firms. They function mostly in the semi-urban and rural areas, catering to the battery needs of old automobiles, tractors and other farm equipments. The need for uninterrupted power in various industries such as telecom, banking and hospitality has resulted in the strong growth of industrial batteries. Another area from where the market has been facing high demand is the renewable energy market where batteries are required to store the energy generated from renewable sources. The market is characterized by its duopolistic nature, with Exide Industries Ltd. and Amara Raja Batteries Ltd., enjoying around 90% market share. Due to the tremendous brand recall experience by these companies, most original equipment manufacturers use batteries manufactured by them. The passenger vehicle space is dominated by the two companies due to their strong tie-ups with recognized international players. Moreover, power concentration being in the hands of these two players, the pricing power remains strong for the industry. Since recycling, if not done with proper care, can result in heavy pollution, the Government of India has laid down several guidelines. The Batteries (Management and Handling) Rules, 2001 is the law governing battery regulation in India, issued by the Ministry of Environment and Forests (MoEF) and provides regulations for the management and handling of lead-acid batteries. It set up an extensive reporting system for manufacturers, dealers, importers, recyclers and others in the supply chain of lead-acid batteries and stated the responsibilities of each. MoEF or an agency designated by it tracks the distribution and sale of batteries. It looks into the collection, auction, transport and re-processing of used batteries and sale of re-processed lead by registered recyclers. Although a large unorganized market exists at present and the battery market is dominated by two main players, with competitive pricing and extensive marketing initiatives, new players can capture a significant share in the battery market in India. The International Lead and Zinc Study Group released preliminary data for world lead supply and demand during 2012. The data compiled by the ILZSG indicate that in 2012 global supply of refined lead metal exceeded demand by 64 kilo tonne. Over the same period inventories reported by theLondon Metal Exchange Shanghai Future Exchange and producers and consumers increased by 23 kilo tonne totalling 628 kilo tonne the year end. Rises in output of refined lead metal in the India, the Republic of Korea, the United Kingdom and the United States were largely balanced by reductions in Australia, Kazakhstan, Morocco, New Zealand and Spain resulting in a limited global increase of 0.2%. Output in China was at the same level as in 2011. Despite a further decline in European demand for refined lead metal of 2.4%, world usage increased by 1.3%. This was primarily a consequence of higher demand in India, Japan, Mexico and the United States. Apparent demand in China was unchanged from 2011. China’s imports of lead contained in lead concentrates rose by 26.3% to reach a record of just over a million tonnes. Cash Settlement and Forward Three Month Prices on the LME averaged USD 2061 and USD 2073 respectively during 2012, 14% and 13.3% lower than during 2011. The highest Cash Settlement Price of USD 2340 was recorded on 31 December and the lowest of USD 1744 on 27 June. 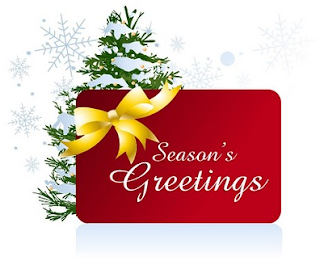 Wishing you and your families “Merry X-Mas” and a very happy “Year 2012” ahead…! Please wear a WARM smile to keep the WINTERS’ away…!! “Lets Join Hands for Eco Friendly Recycling” ! Lead prices managed to recover from their 14 month lows on better employment situation in the United States and some corrective phases in Dollar against the Euro. Inventories of lead showed declining trend in November though on a yearly basis it was still high. In November, the overall inventories was down by 5.3% though on a yearly basis the inventories have gained 75%. Situation of production was good in lead even as consumption levels remained quite weak in emerging markets. India reported decline in vehicle sales numbers at the time when markets remained glued to debt situation in the west. Vehicle sales in other part of the world were also not cheering. Indian Lead markets moved forward on the back of some strong trendline supports and retracements from the lows of Rs. 88 in October. The markets managed to surpass Rs. 100 per kg in November and maintained the momentum in early December. The decline in vehicle sales is negative for the contract is short run though easing rate regime will bring back demand in coming months. Early resolution of Eurozone crisis will be a welcome. In December, the demand for lead is expected to remain dull due to Christmas and New Year celebrations when traders like to sit on cash and avoid further fresh positions. The initiation of January is likely to bring global rebalancing of funds in lead. This can help Lead rise during that time, bearing in mind that LME lead has declined by 18% in 2011. There are a number of factors directly impacting the cost of disposing batteries in accordance with the RBRC Act. Batteries are typically deployed in a fully enclosed battery cabinet or on an open rack with various levels of shelves. The batteries are connected in strings of a number of battery blocks. Each battery block has two terminals that are connected with jumpers from one battery block to the next in the string. In certain applications, the batteries are secured to the shelves in the rack or cabinet with industrial grade zip ties or other similar means. A battery system connected to a given UPS, may have one or more strings of batteries depending on the runtime required when originally configured. There are several companies specializing in recycling of batteries used in various applications, UPS included. They typically provide a full service offering on a local, regional or national basis servicing clients with a one-time or recurring need to dispose of batteries. Quotes and rates vary greatly as the factors above change. Total weight of the shipment is ~4,200 lbs. The cost will be in the range of ~$2,500 – $3,000. Unless the site is ultimately shutdown, the UPS system will require a new replacement battery system at the same time of the disposal of the end-of-life battery system. The cost of the replacement battery system in a similar battery configuration described above is ~$23,500 including installation and transportation. Garvita Technomech offers turnkey solution for Lead acid battery recycling processes & plant. We are one of the Leading Turnkey Projects Supplier for Lead Smelting & Recycling.